It is original to live in a signature residential tower that rises above what will be the ultimate shopping, dining and entertainment destination in Miami. 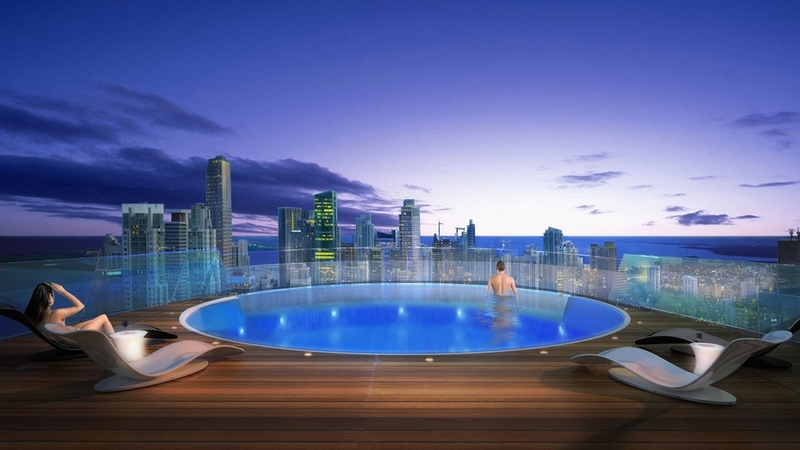 Designed to maximize your experience and views, this 700-foot tower is 60 stories with 470 luxury residences. The Paramount tower is Miami Worldcenter's first residential tower to launch and is truly exceptional with a private pool deck, park, tennis courts and even indoor regulation soccer field on the Upper Deck of the mall. At nearly 30 acres, Miami Worldcenter is at the epicenter of the city surrounded by over $3 billion of new public and private projects including mass transit, museums, parks, sport venues, entertainment and The Mall at Miami Worldcenter consisting of 1 million sq. ft. of luxury retail and signature restaurants anchored by Bloomingdale's and Macy's. On top of that an additional 600,000 sq. ft. of convention space and will be the 2nd largest development in the U.S. Private direct 3rd floor access from your residence into The Mall at Miami Worldcenter. For floor plans, pricing, digital brochures, or more information please fill which email you would like it to be sent to, I will get it to you within 24 hours. 2 0 1 8 © E l l i o t L e e, A l l R i g h t s R e s e r v e d.